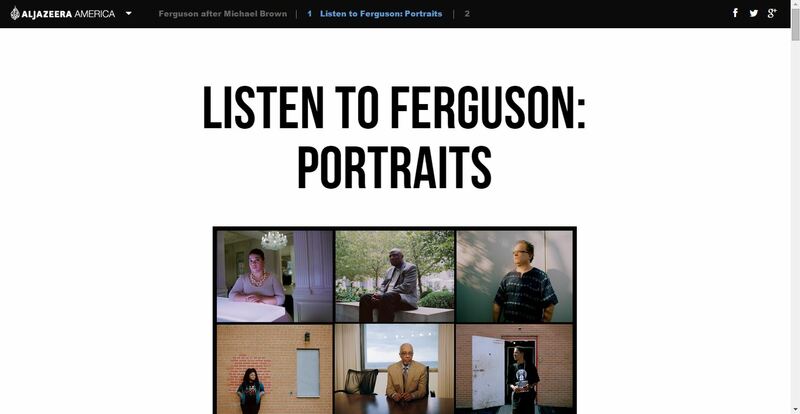 Listen to Ferguson (Aljazeera America): An amazing example using just audio and portraits. This is a great option for organizations that don’t have a web designer in house, but have lots of photos, audio, or b roll they can use. 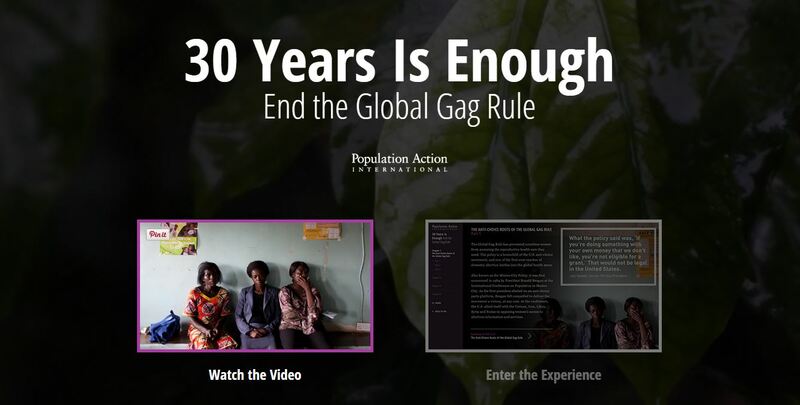 30 Years of the Global Gag Rule (PAI): I led this project at PAI. It was the companion piece to our mini documentary, 30 Years is Enough. 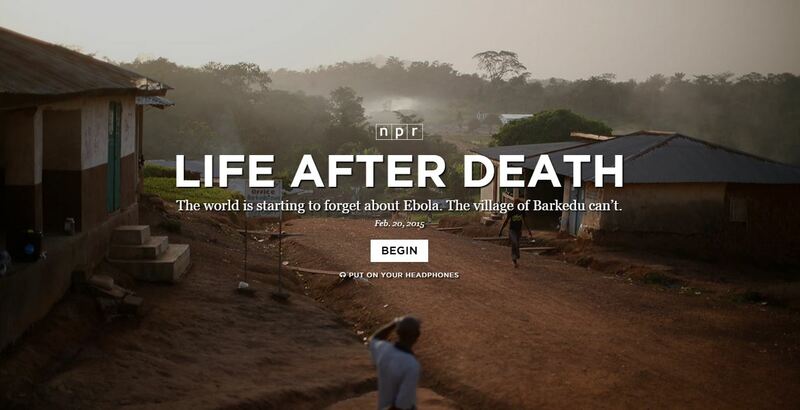 Life After Death (NPR): A truly stunning story about the village first hit by the Ebola epidemic. You can go behind the scenes of this story in this NPR piece. Firestorm (The Guardian): I think this is my favorite interactive story of all time, and it actually inspired the Global Gag Rule interactive piece. 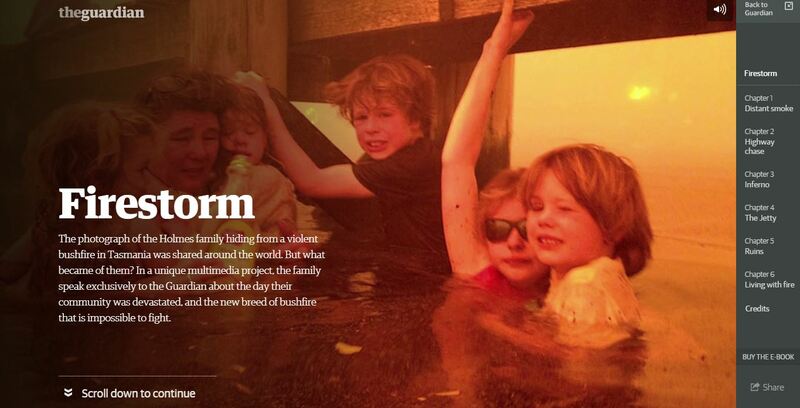 It’s just so engaging, and the images and video footage are visually stunning. The emotions really come through the screen thanks to all the interactive elements (audio, video, photos). The folks at The Guardian also released 10 Things We Learned During the Making of Firestorm if you’d like the inside scoop. 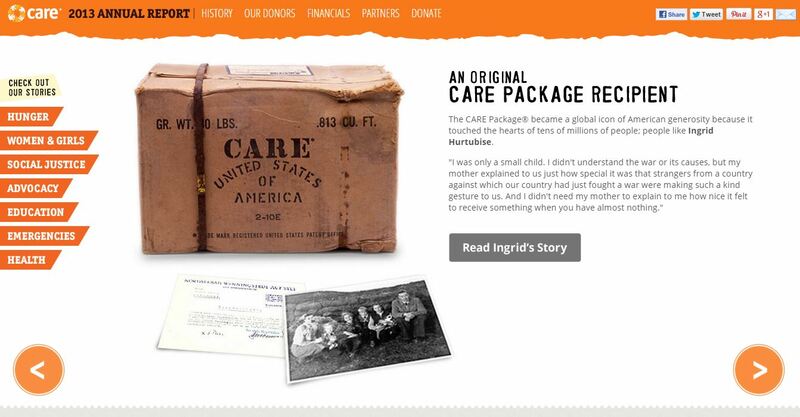 CARE Annual Report: This annual report really inspired me to up our annual report game (and we did!). Bonus! Presidential Inaction Counter (PAI). Alright alright I’m sure you’re tired of seeing examples from PAI, but this counter was highly successful. It garnered lots of social media attention and opened some very important doors for us to speak with officials at the White House. 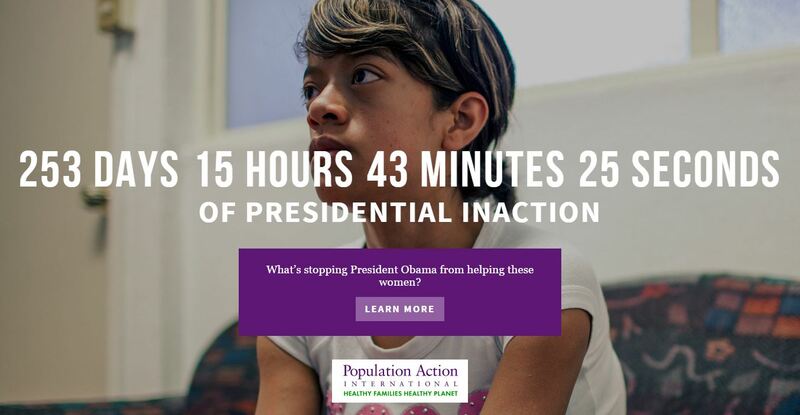 Although President Obama hasn’t fixed the policy yet, the pressure on him to act is still building. Do you have a great example of digital storytelling? Leave a link in the comments.